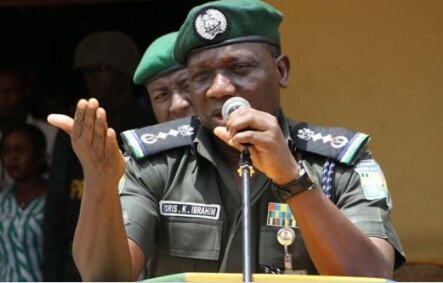 Kaduna Police command on Wednesday confirmed to Gobroadsheet that, kidnappers killed 2 police excorts and abducted 2 American and 2 Canadian expatriates in Kaduna, Northwest Nigeria. The expatriates were said to be returning to Abuja from Kafanchan, Jema’a local government area of Kaduna state when the kidnappers laid ambush for them and engaged the the excorts in gun duel which led to the death of two policemen while the 4 foreigners were whisked to unknown destination. The incident according to Police source happened around 7 pm Tuesday at Kagarko, Jere road about 40 kilometres to Abuja the Nigeria capital. The spot which is known to be hot bed of kidnapping was the same area that two German archeologist were abducted sometime in 2017. Police Spokesman in the state, ASP Mukhtar Aliyu said, the command has dispatched anti-kidnapping squad to rescue the victims alive. “Yes I can confirm to you that two of our men were killed and two America and two Canadian expatriates were abducted around 7 pm yesterday (Tuesday). “We already in serious search and rescue operation. We have dispatched our anti-kidnapping squad to rescue them alive. It is unfortunate but we are on top of it. However, details about the kidnapped victims are still sketchy as at the time of filing this report.